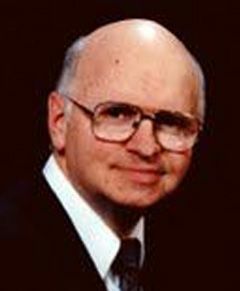 Lloyd Spencer was born in Magrath, Alberta, Canada, and over the years was blessed with the influence of family and associates who helped him to achieve. After one year at the University of Alberta, he enrolled at the Ontario Veterinary College, Guelph. After the first year, he took leave for two years to serve as a missionary for The Church of Jesus Christ of Latter-day Saints in central United States. Upon graduation with a DVM in 1964 he commenced graduate studies at Cornell University where he earned MS (1966) and PhD (1969) degrees. 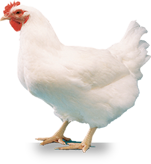 Dr Bruce W Calnek, his major professor, prepared him for a rewarding research career, focused primarily on control of diseases caused by avian tumor viruses, with Agriculture Canada, Ottawa, Ontario. To further his research, he was granted one year work transfers to the Regional Poultry Research Laboratory (USDA), East Lansing, Michigan and to the University of Saskatchewan. For contributions to the control of Marek's disease and avian leukosis, he received the Upjohn Achievement award, the Tom Newman Memorial award from the British Poultry Hatcheries Association and a Merit award from Agriculture Canada. For another approach to disease control, he developed composting strategies to kill pathogens in animal wastes. He was awarded support from the Inter-American Institute for Cooperation on Agriculture to conduct composting studies in Argentina. These methods were successfully applied to help control an outbreak of avian influenza in Canada in 2004. For composting research, he received two awards from the Canadian Food Inspection Agency (CFIA). He has published approximately 75 peer-reviewed papers. He served the World Veterinary Poultry Association (WVPA) as a corresponding secretary, Vice-President, President (1997-2001) and Honorary Life President. Also, in 1988, he started the WVPA Aerosols Newsletter. He served 29 years on the editorial board of Avian Diseases. Upon retirement in 2004 he was awarded emeritus status by the CFIA. Diversions have included: increasing proficiency in French and Spanish, gardening, bee-keeping and cross-country skiing. Lloyd and his wife Marilyn are parents of 5 children and have 18 grandchildren. Church and other activities that support families have always been priorities.